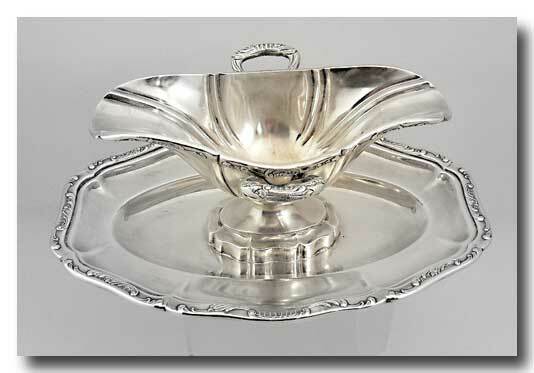 A stunning rare Belgian silver sauce boat with integral tray in the Neo-Classical pattern. 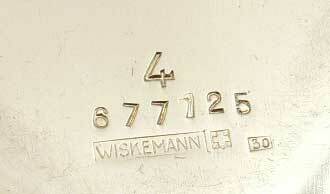 Stamped with the manufacturers’ hallmark “Wiskemann”, the Swiss Cross and the Arabic numeral “30” along with pattern # 4 and an etched series of numbers. 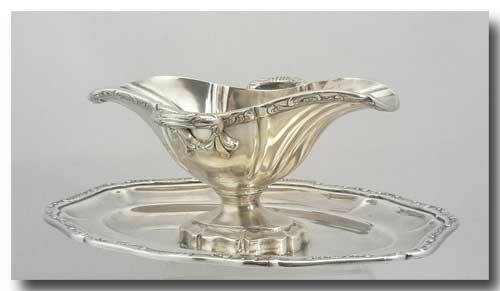 This is a cast of pure silver plated onto an iron core in the manner of Sheffield silver. 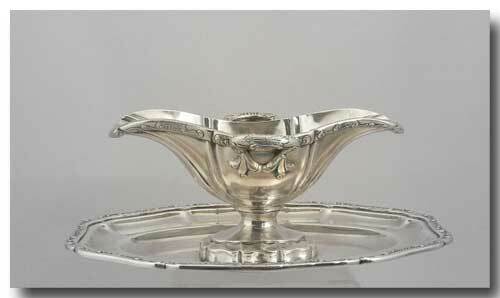 In 1939 a Belgian Royal Decree required that all silver plated ware must be stamped with 2 hallmarks: one the makers & the other a numeral giving the no. of grams of pure silver: in this case 30 grams. 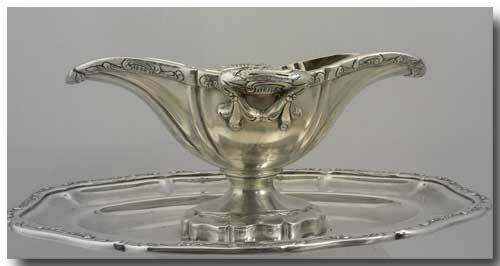 Bruno Wiskemann was a small but renowned silversmith with shops in Belgium & Switzerland. 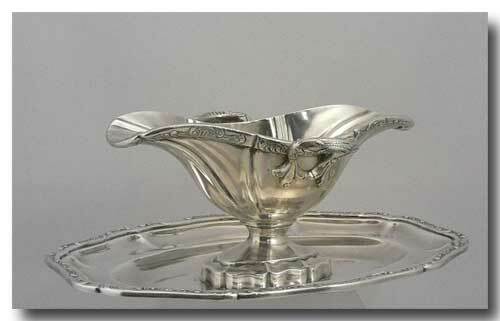 His work was highly respected & often copied by other silversmiths. His work is seldom seen & highly sought after. His work dates from the very late 19th century to the 1950’s when he sold his business. This piece dates 1939-1950’s, is in excellent condition & measures 10 3/4 inches L. x 4 inches H.